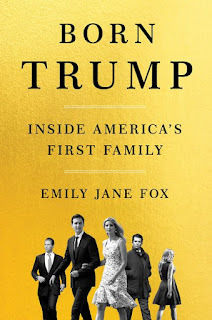 To truly understand President Donald Trump, argues Vanity Fair columnist Emily Jane Fox, one must get to know his children, whose stories provide insight into what makes him tick. In Born Trump, Fox gives a deeply reported and richly detailed look at Trump's five kids - Don, Jr., Ivanka, and Eric, who he had with his first wife Ivana; his one daughter with Marla Maples, Tiffany; and Barron, his fifth child and the only child he has with his current wife, First Lady Melania Trump. There also is a look at Ivanka's husband Jared Kushner, who became a leading advisor on the campaign and in the White House. Fox looks at their lives, their dramatic and often fraught relationships with their father and with one another, and their roles in the campaign and administration. Born Trump is a new examination of the tabloid-soaked events that shaped their lives in startling new detail, complete with surprising insights, previously untold stories, and delicious tidbits about their childhoods, which was both ridiculously privileged and painful in equal measure; and the extraordinary power they now wield. "The children's floor, spilling into the entire sixty-eighth floor of Trump Tower, sat atop the family's triplex," Fox writes. "Ivana chose to decorate the sixty-sixth floor, the most public-facing of the family home, in a megadose of what is known as the classic Trump aesthetic: beige onyx floors inset with brass; fabric banquettes gilded with twenty-four-karat gold; low-slung ceilings covered in more gold leaf and a Michelangelo-style mural, the latter having caused quite a skirmish between Ivana, who insisted it feature cherubs, and Donald, who much preferred warriors. He ultimately won out, boasting that the painting's quality was in line with that of the Sistine Chapel. The staircase was mirrored, the railings bronze; just about everything else was gold or crystal or lacquered or, at the very least, shiny. And then there were the views - all of Central Park bloomed and the skyline glittered, depending on from where you looked, giving the place the feel more of a dictator's palace than a family home for five plus staff. "The children's floor itself could have fit several New York apartments within its walls, but at least it looked like it belonged to a family. There was a little kitchen, off of which was the room where (nannies) Bridget and Dorothy alternately stayed. There were two guest bedrooms, one suite primarily for Ivana's parents, Dedo and Babi, who spent months each year tending to the kids, and one for anyone else who came to stay overnight. Each children had his or her own bedroom. Don Jr. settled on blue and white for his room, and covered the walls with posters - a Grateful Dead one, another, for The Terminator, read 'I'm back.' His bedroom floor was littered with lacrosse sticks and tangled sneakers and the mess a normal young man accumulates. Ivanka lined her lilac walls with Madonna posters and shots of the cast of Beverly Hills 90210 and shelves filled with china dolls and delicate glass animals and silver picture frames and stickers stuck haphazardly about. Her white wrought-iron bed backed up into a frilly floral fabric, and a drapy lilac canopy hung above it. The floor-to-ceiling windows put her face-to-face with Central Park as soon as she opened her eyes every morning. Eric's room, yellow and white and bright, did not have his sister's view. "The floor also had a playroom, with stacks of Legos and Lincoln Logs, toy trucks and cars, videotapes and a big-screen TV, a game system and a couch and blankets and enough going on to entice Michael Jackson, their neighbor in Trump Tower, to regularly come over to play video games with the kids. (Ivana's most recent book makes clear that her children were never left alone with Michael when he came around; either she or the nannies supervised the visits.) The kids would play in other parts of the triplex, too, raiding Ivana's temperature- and humidity-controlled fur closet, sneaking minks and coats of any little animal off their hangers and back up into their quarters. How could a kid build a fort without these anyway?" As a version of this new kind of American royalty they wish to be, they are ensconced not in palaces but in Trump Tower and the White House. Donald told friends before his oldest child, Don, Jr., was born, that he wanted at least five children to make sure there was a greater probability one would turn out just like him. While his vision didn't pan out exactly as he imagined, Trump's children each inherited some of his essential traits, and as one source said, "collectively, they make the whole." Ivanka is a media-savvy, hyperskilled messenger with her father's self-promotional ease but without his brashness. Don, Jr., has the most contentious relationship with his father yet seems prone to endlessly repeat his mistakes. While Tiffany grew up mostly separate from her father, she inherited Trump's perspective as an outsider, his unique combination of assurance and insecurity. Finally, there is Ivanka's husband, Jared Kushner, whose own family drama (also a New York real estate empire) and personal ambition is a crucial part of this saga. Classmates of Ivanka's at Chapin recall a "scandale" in her last year as a student there. One day, when she was in 8th grade, she and a friend flashed a local hot dog vendor, whose cart was set up outside the park, right across from their classroom window. Donald never understood Don Jr.'s passion for hunting, and he was certainly never going to share it. So when, on the campaign trail, then-Iowa Governor Terry Branstad invited Donald to his state for a hunting trip, an activity that would appeal to the candidate's base, he sent Don Jr. in his place. "Don, you can finally do something useful for me," he told his son. Jared believed nobody would run Donald Trump's campaign better than he would, but for the sake of optics agreed to fill the position with a woman. The question was, what woman would come on board knowing they were getting a fake job to make Donald look good while Kushner pulled the strings? "Well, we wouldn't tell her that," Kushner said. Eventually, Kellyanne Conway was brought in, becoming the first female campaign manager to win a general election bid in the history of the United States. On election night, after Donald took the phone and accepted Hillary Clinton's concession and congratulations, Vice President Mike Pence walked over to his wife Karen and told her that they'd done it. They'd won. "I know," she told him coldly. "Well how about a kiss?" he asked. "Mike," she turned to him, "you got what you wanted. Now leave me alone." In administrations past, the plum security assignments were almost always on the First Lady's Detail, known as F.L.D. ; jokingly, agents have dubbed it "Fine Living and Dining," because most First Ladies make many trips to many lovely places, go to the best restaurants, take a few lovely vacations with their kids - all with their detail in tow. The current First Lady stuck closer to home, however - or homes, as it may be in the Trumps' case. She rarely made public appearances or traveled anywhere besides Trump Tower, Bedminster, New Jersey, or Mar-a-Lago; she did little socializing outside. The Trump-Kushners, on the other hand, gravitated to the five-star hotel and private plane end of the spectrum, which made a place on their details one of the more desirable assignments in the administration. Ivanka, in particular, crisscrossed the country, flited about vacation spots at luxury resorts, frequented glitzy parties and hot restaurants and several city and beach and country homes. In jest, some agents started referring to Ivanka's detail as F.L.D. Lite; it was the assignment to get. 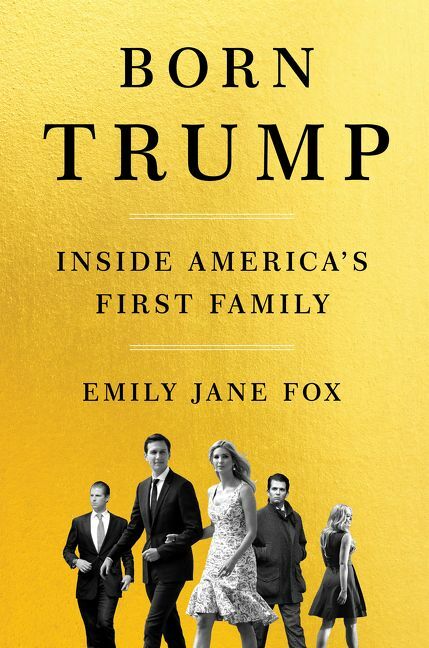 Born Trump illuminates the vision of Trump as a father, a portrait of the president at his kindest and cruelest, as well as plenty of revelatory gossip such as the inside scoop on Donald's three marriages, why Ivanka and Jared are "bashert," and how this family of real estate tycoons have become the most powerful people in the world.